And, we remain an invaluable resource for our members looking to gain a competitive advantage in the marketplace. Our membership includes almost 300 fenestration product manufacturers and their material and component suppliers as well as more than 100 professional and technical consultant members. We continue to support all of our members with technical forums, certification programs, market research and marketing programs that make practical contributions to their success and profitability. What Can AAMA Do for Your Organization? As a material-neutral organization, AAMA proactively and effectively influences codes, construction and specification issues. In addition, AAMA is active and influential in the Western and Southeast regions of the U.S. With this kind of local, grass roots representation, AAMA provides focus and direction on issues that are of special concern in these areas of the country. 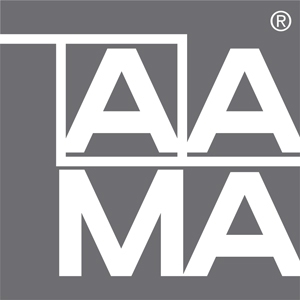 In addition, AAMA began offering the original third-party product certification program over 40 years ago to provide manufacturers with the means to independently demonstrate product performance to their customers via the AAMA Certification Label. AAMA members develop and update the standards that are referenced in many national and state building codes. AAMA is actively involved in the International Code Council (ICC) Code Adoptions each year both in the code content as well as the ways that the codes are applied and the manner in which they affect the industry. We are also actively involved in the International Residential Code (IRC), International Building Code (IBC), International Green Construction Code (IgCC) and International Energy Conservation Code (IECC). On both a regional and national basis, AAMA continuously monitors and reports legislative activities to keep members up to date on important developments. We are committed to keeping our members up-to-date on regulatory and codes information and ensuring that our collective voice is heard. To learn more about these organizations visit the Codes & Regulations section of the website.